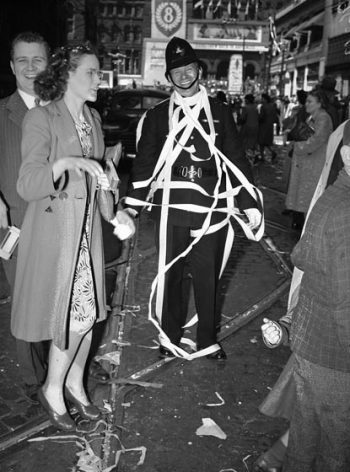 They danced, kissed strangers, waved flags and threw streamers. 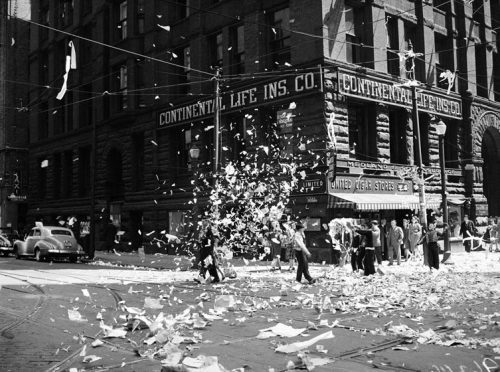 They crowded outside newspaper offices to hear the latest news, flocked to City Hall, and formed jubilant parades on Bay and Yonge streets. 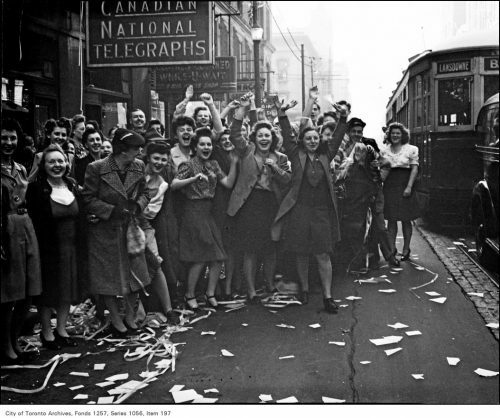 They all celebrated, in their own way, the end of the war. 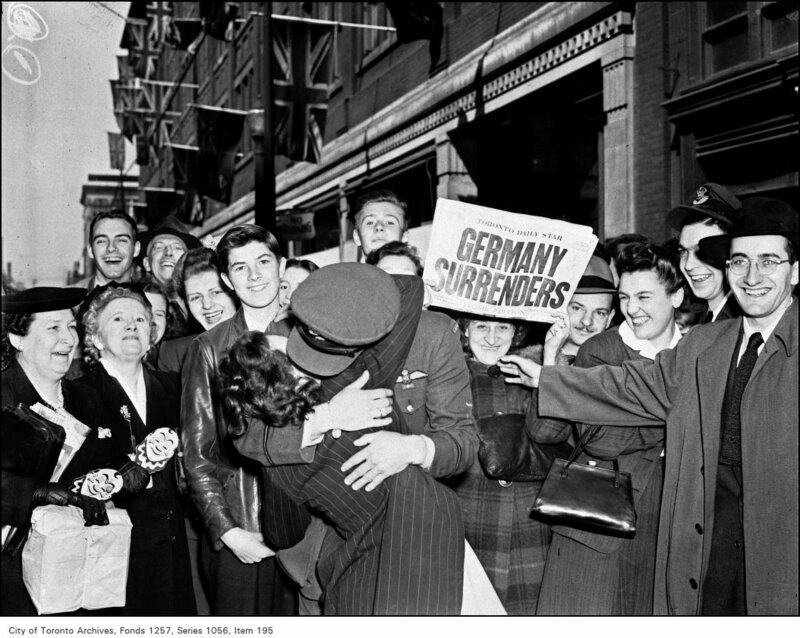 V-E (Victory in Europe) Day, the end of the conflict with Hitler’s Germany, came first. 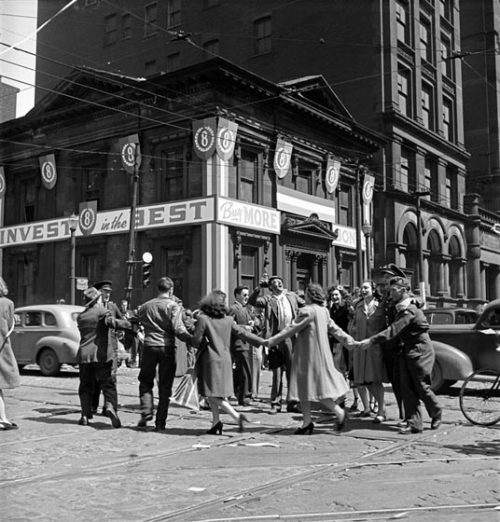 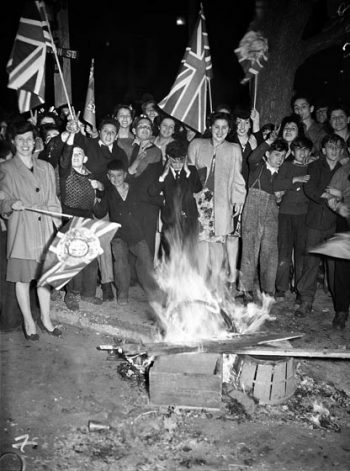 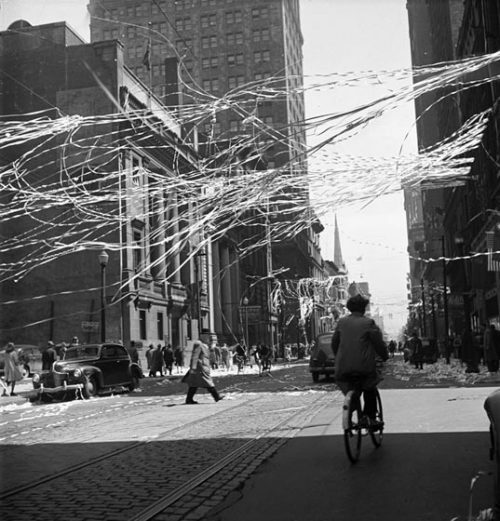 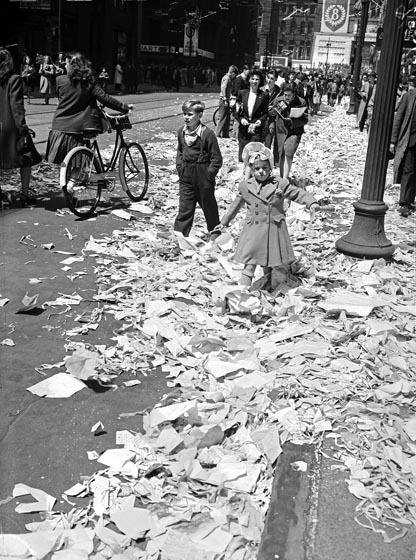 Germany surrendered on May 7, 1945, and in Toronto and all cities in Allied countries, people streamed out of workplaces and schools to start the party. 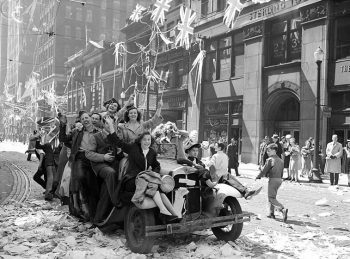 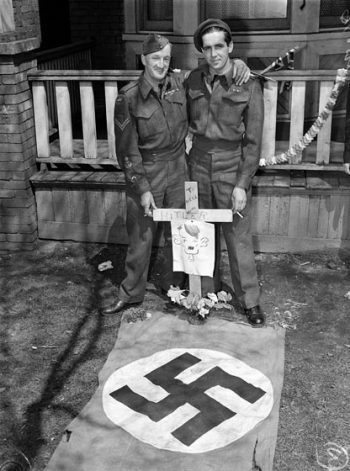 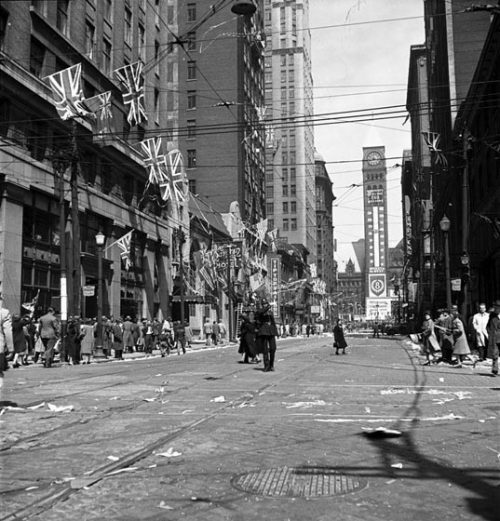 May 8, 1945 was declared the official day of celebration, with the City of Toronto organizing concerts, parades, religious services, and fireworks in the parks. 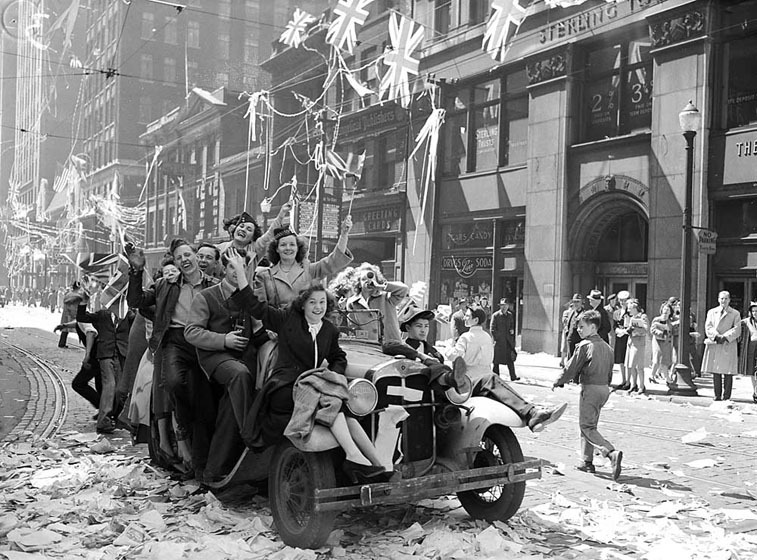 Three months later came V-J (Victory in Japan) Day, the end of the Pacific conflict with Japan. The news came in the evening of August 14, 1945. 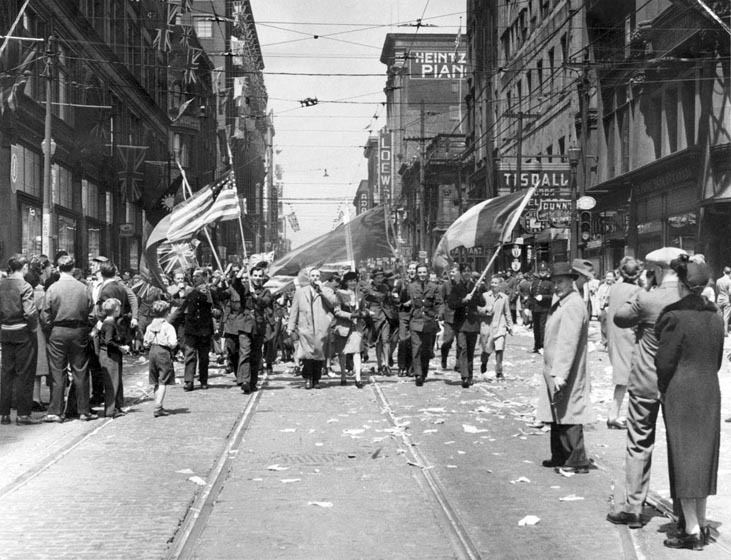 Across the city, but particularly in Chinatown, the revelry began again—this time celebrating the final end of six long years of war. 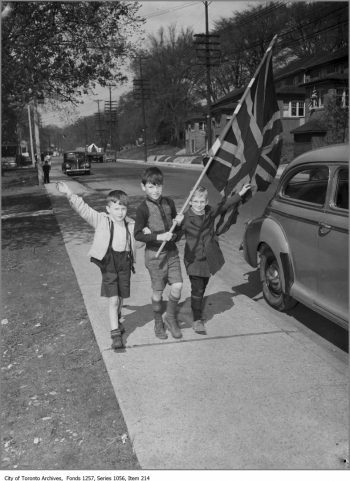 Years later, we remember the war and commemorate its end with this exhibit, featuring images and other materials from the City of Toronto Archives.